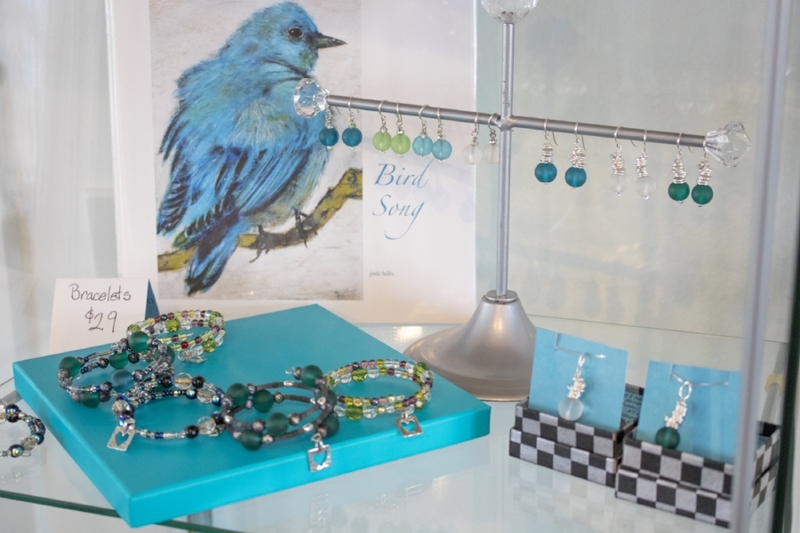 Meet Deirdre Gentolizo, a small business owner who creates handcrafted jewelry and gifts. Deirdre started Deirdre Handcrafted Jewelry the year after she graduated from college. She believes her strongest skill is recognizing there are no tasks below her, and many that are above her. She humbly credits much of the business’s success to her team, who have kept her going through the hard times and helped her celebrate the good seasons. Read on to discover what three lessons Deirdre has learned so far in her career path journey as a female entrepreneur. My company is Deirdre Handcrafted Jewelry, and I create jewelry and gifts out of sterling silver, pewter, stainless steel, and occasionally other metals. My inspiration comes from nature, friendships, celebrations, life, and most of all from my faith. I design with the hope that my creations are a little something to give for a special occasion, or a chance to remember that each day is a gift worth celebrating. A particular passion of mine is designing custom jewelry or gifts for organizations and individuals using their logo, theme or images. It’s a blessing to partner with organizations as they honor employees, donors or supporters. Describe your childhood in one word. Describe your childhood personality in one word. When you were a little girl what career did you dream of having “when you grow up”? I worked in a small gift shop in a resort town. I learned quickly that I am not cut out for retail! List your jobs until you started your own business. What year did you decide to start your own business? Why did you decide you wanted to start your own business? How is your business different today than when you first started? Larger, more fun, and more stable. What three lessons have you learned running your own business? 1. Stay true to who you are and what your business is. 2. Being your own boss means you will get to know yourself better than you ever dreamed was possible. It won’t all be pretty, but it can all be used for good. 3. Business is always changing. Be ready to change when needed (while still being true to yourself, of course). What’s next for your business? Top 3 goals. What’s your strongest skillset that’s help you succeed? In this journey, who have been your three most supportive people? 1. My parents. They always believed in me, even when I did stupid things like start a business a year after graduating from college. 2. My friend and fellow artist Marva Sheriff. It is always lovely when people tell you that your artwork is good, beautiful, helpful, lovely, or whatever. It is extremely helpful to have a friend who will give an honest critique. 3. The 7 people who have worked for me over the last 25 years and my dog, Detroit. No matter how my day, week or year is going, they have each in their own way believed in me enough to help me keep going through the hard times and celebrate with me in the good times. Have you had any hardships or setbacks in your business or personal life? Divorce and the unexpected death of my Mother in the same year made for an extremely tough season. Business certainly slowed down, but my faithful employees kept us afloat until I could ease back into the game. How did you overcome it or did it make you stronger? My employees stepped in and kept the course when I could not. I learned how much they can do without me. We all have different skills, and together we make a good team. I am known as Deirdre & Company. I am Deirdre, and I make the jewelry, but the rest of my Company is just as important to our success as I am; that is why their name is on our jewelry boxes too. Even in business, it’s about community. Did you always dream of owning your own business or was it a surprise on your career path? Surprise; still surprised 26 years into it! Paddleboarding, skiing (all kinds), hiking, cooking, reading, and playing with my dog. I have a beautiful daughter that I adopted from Ecuador when she was 5. We love our dog Detroit and our cat Tilly, who thinks she is a dog. Describe your career path to-date in one word? Age you’d like to retire at? I cannot imagine ever not making jewelry, so I would like to ease into less business and more creative work when my daughter heads to college. Travel location on your bucket list? Favorite podcast, YouTube channel, or blog? 3 female entrepreneurs you admire.